This machine is designed for the thread/profile forming on the thin pipes/tubes, which equipped with 3 same size rolling shafts and needs 3 pieces of rolling dies while rolling. These three shafts are swivel able to ensures optimum capacity and use in making threads and axially parallel profiles in the through-feed process. For this special through-feed process automatic feed of the work is necessary. 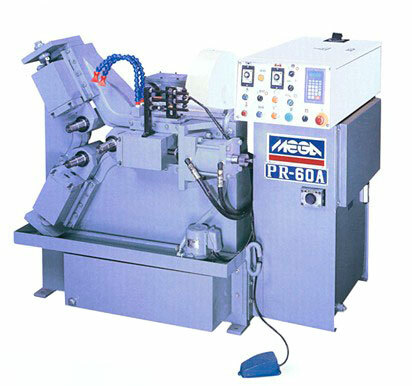 Tapered pipe thread (PT,FT series) forming are most common applications by this machine.